Movement is frozen and not blurred (unless it’s intentionally blurred). It’s correctly exposed (it’s not too bright and it’s not too dark). In “easy” light (nice and even, like on an overcast day), you’ll find that even if you don’t know much about photography and are shooting on AUTO, your pictures tend to come out correctly exposed and, unless you’re photographing Usain Bolt, people are not blurred, even if they’re moving around. But the light isn’t always “easy”; more often that not it’s tricky, like indoors on a rainy day, or in a forest on a dull day. 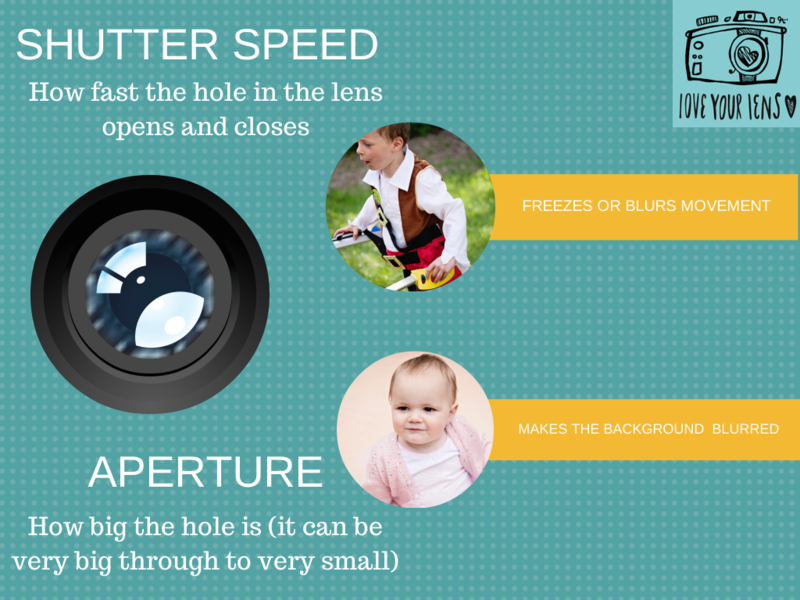 If you use your camera on AUTO, your camera will try to get the settings right, but more often than not, it will use a slow shutter speed to let in more light. This makes the photograph correctly exposed and bright enough, but unfortunately it’ll mean that any movement will be blurred. Or the flash may fire automatically and although this will freeze movement, it will result in a picture that looks flat and slightly artificial instead of 3 dimensional. Natural daylight is always much better for portraits than flash. I like most of my portraits to have a soft, blurred background, so I use my camera in Aperture Priority mode, by turning the dial on the top of the camera to Av (sometimes just A on some cameras. Then I set a low f/number – like f/2.8 – as this makes the hole in the lens very big, which is what makes backgrounds blurred. 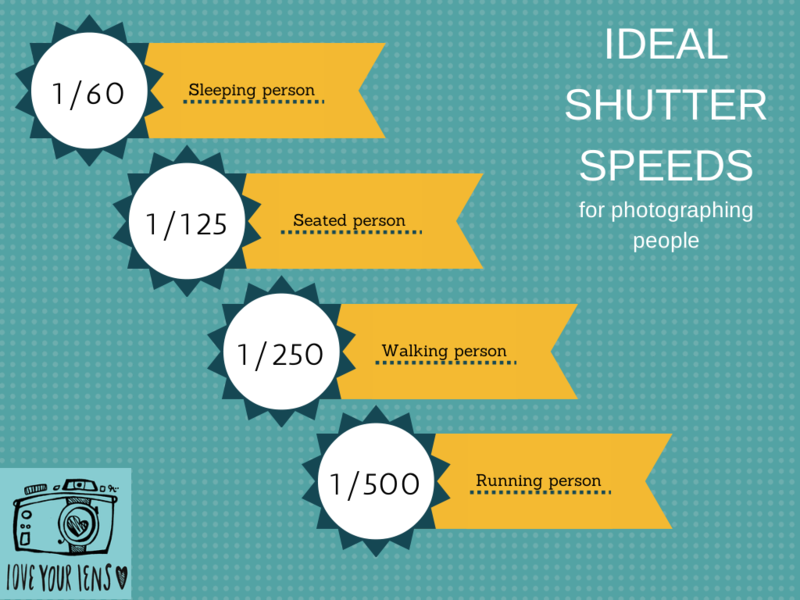 But if the camera is controlling the shutter speed and not me, in Aperture mode, what do I do if the shutter speed is too slow for what I’m photographing? Well this is where the magical thing that is ISO comes in. 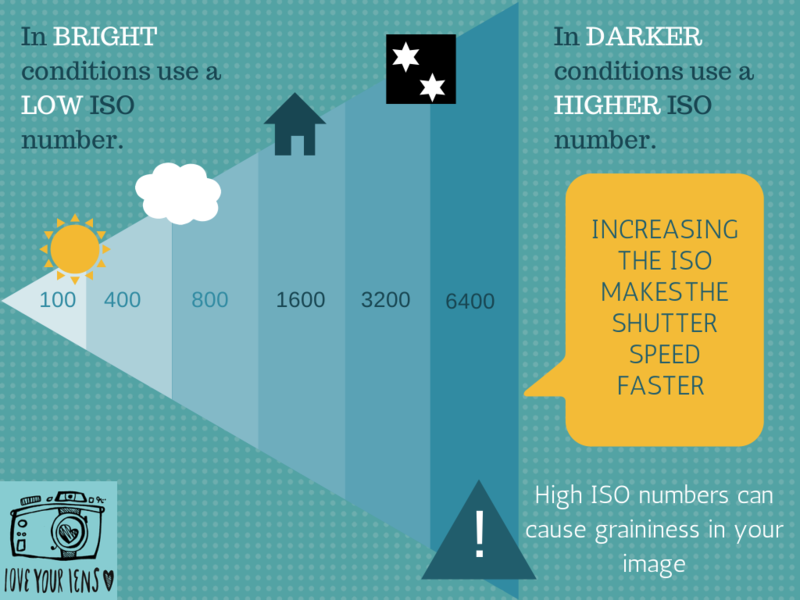 Increasing the ISO number makes the camera sensor more sensitive to light – making the shutter speed faster. If it’s bright you choose a low number, but in dull conditions you choose a higher number until you get the shutter speed you need. 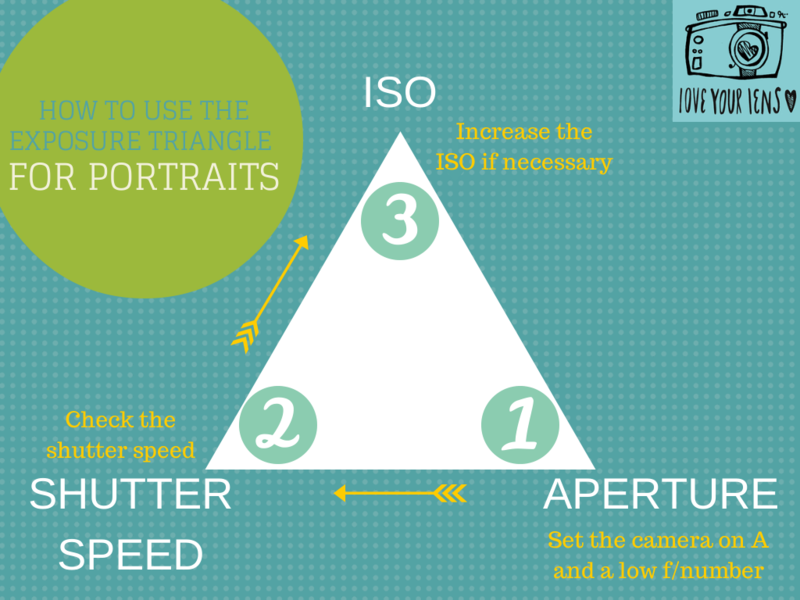 If you see that your shutter speed is too slow, all you have to do is increase the ISO number – don’t change any other settings, just the ISO. ISO is brilliant! It’s what allows you to take pictures in low light without using flash, so indoors or on dull days, in churches, museums, anywhere! The only downside to ISO is that using the higher values can sometimes make your image grainy, especially in plainer areas. The best thing to do is see how high you can set your ISO before it ruins the quality of your image. More expensive cameras cope better than lower end ones. Here’s the process I go through in my head whenever I’m taking a photograph – it;’s second nature now and means that I rarely get blurred, poorly exposed images. 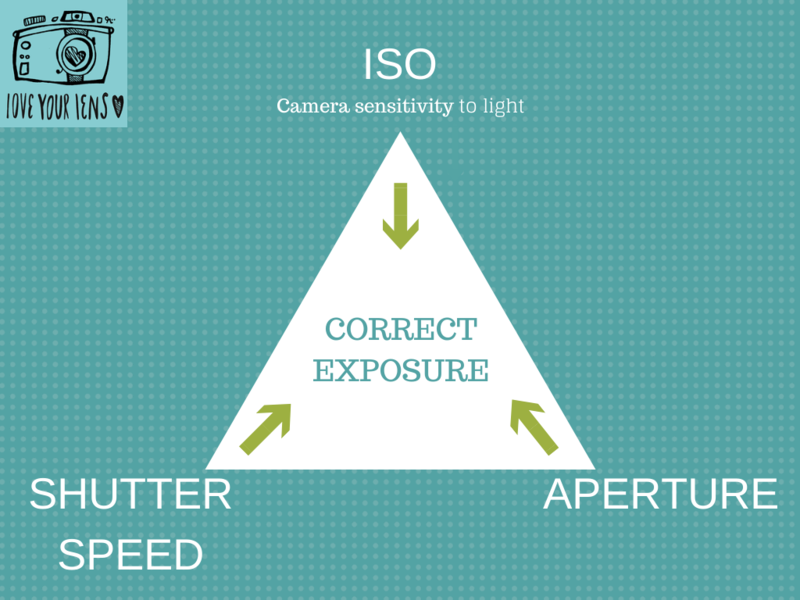 So hopefully you now get that the Exposure Triangle is really really important! If you enjoyed reading this, or have a question please leave a comment. Pop by my Facebook page to give it a like and sign up for my newsletter at the top of this page, then you won’t miss out on photography tips.